How five filthy-rich entrepreneurs caught the attention of business owners everywhere to become a Friday night ritual that rivals the best business schools. Shark Tank fans love to watch them negotiate. Rip apart ideas. Attack horrible presentations and shortsighted premises. Devour and feast upon brilliant new concepts. Giggle (and sometimes cringe) at Kevin O’Leary’s brutal dose of tough love from “Mr. Wonderful” himself. 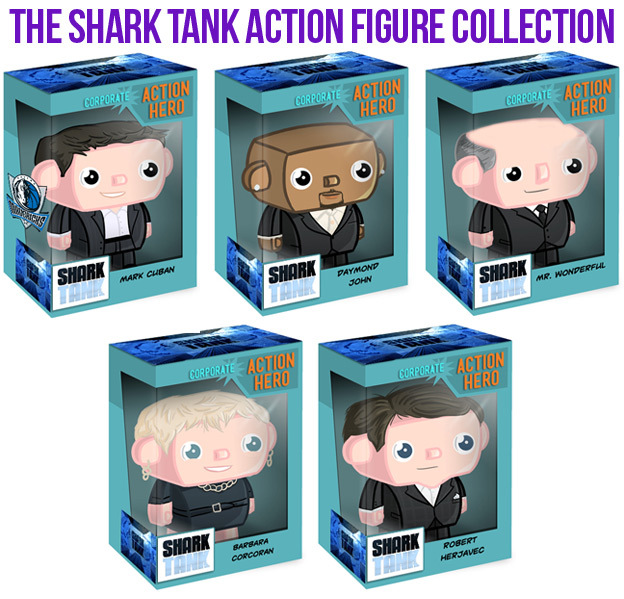 But Shark Tank has achieved something quite rare: It’s given TV a Friday-night hit merging tough love and entrepreneurialism with sometimes brutal negotiations done in real time by millionaires/billionaires investing their own money in wannabe business home runs. The show’s success is built upon a well-edited reality TV negotiation, but it’s the Sharks who make the show what it is. It’s not only their own interaction with one another as they scheme, outmaneuver or team up against each other. It’s their own brands (e.g., personalities) that are fun and highly educational to watch. Each shark has his or her own style, but each has one undeniable, vital and uniform trait. You want to know the ultimate difference between being a Shark and one who merely attempts to be one? The Shark is guided by their target: The outcome (like blood in the ocean). That outcome determines their actions, guides their decisions and is the rudder that moves them through otherwise tumultuous waters. The wannabe or the failure often gets stuck in the mire of what there is to be done, the mechanical steps, or just getting up the nerve to start, or merely wondering whether to be bold or clever or what slide to put up next. The shark, on the other hand, knows the outcome he or she will accept, what he or she will negotiate toward and navigates to that end. He or she also knows when to utter those dreaded two words, “I’m out,” knowing when they cannot see the proper outcome they can cause, or business advantage they cannot help forward. The wannabe gets stuck in the beginning, wondering if it’s right or not, etc. In other words, it’s a paralysis, whereas the Shark doesn’t get entangled with the problems or the choreography. The sharks “see the end in sight” and push toward that end, devouring anything in their path. How can you do this? The 4 points below will help you, but the above point is the secret to their achievement and continued success. Want proof? Look at your last achievement. You’ll discover you saw the outcome and pushed toward that without reserve. Look at your last failure. You’ll discover you got stuck with how to pitch, how to dress, how to work out the details, details, details and, somewhere along the way, lost sight of the end product. What About Style and Different Approaches? Obviously, each shark has his or her own style. bust a move and dance when given the chance. pitching that their idea is the worst thing he’s ever heard. Barbara Corcoran, the consummate New York negotiator. Daymond John provides the Tank with some much needed soul, offering retail, fashion, and distribution muscle and expertise. Robert Herjavec is the low-key business guy with a big heart. each have enough confidence to say “no” without looking back. How to be a shark? How to “see the outcome” and have that tenacity? Looking at the traits that make this show so interesting to watch, there are a few stand out qualities. In a normal post, I would call these sound bites. In this case, it’s only appropriate to call these shark bites. None of the sharks are ambiguous. They love you. Or hate you. They know how, and when, they can help. They know when they can’t. That’s called integrity, my friend (as O’Leary likes to tag “my friend” onto his words of sage-like advice to those standing before the hungry sharks, even when he’s telling you to burn what you just brought in). Has your brand taken a stand? Besides knowing what your brand says yes about, does your brand also know what it says “no” to? Brands can talk too much. Branding today is about dialogue. But not any dialogue, meaningful dialogue. Dialogue with substance. And conviction. Don’t pad your message and promises with fluff and B.S. Get to the point. Artfully. Smoothly. Succinctly. Getting to the point without a “maybe” approach shows respect for your brand’s convictions and the time of your customer, client or prospect. If they’re hungry for more information, they can always ask. Is you brand direct? Bold? Committed to something other than today’s great offer or deal? The Sharks display an endless curiosity. Why does this business concept make sense? What’s the return? Who is it important to? They match this interest with being willing to know what they’ve observed personally while being open to learning something new. The Sharks each engage in a dialogue. It may be brief, or it may become more involved. Nevertheless, it is a dialogue that goes back and forth to satisfy their hunger for something great. Is your brand poised for answer your customer’s curiosities? In every transaction, the person doing the buying does some due diligence, whether in person or online. Is your brand poised to answer those questions at every point of contact? If not, the first brand to offer those answers will be the one the dialogue starts with, putting them several laps ahead of your brand in that deal. 4. Be Nimble. Be Prepared. 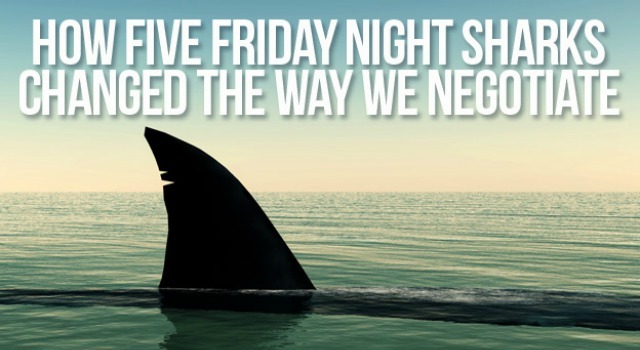 Watch a Shark Tank negotiation and you’ll notice that none of the Sharks get caught off guard by those pitching (between each other is another story as they will team up against one another or outbid each other ruthlessly if they see something they want). Each is quick to ask questions. Spot trouble areas. Spot opportunities and act. However a negotiation shakes out, they attended this party with clarity of mind, knowing their strengths with cash in hand knowing what they will (or won’t) do. Is your brand nimble enough to know its strengths? Its weaknesses? The right conviction to know what to ask of itself? Implement those four qualities with this one trait: Be guided by your target, the outcome. Have that outcome determine your actions, guide your decisions and be the rudder that moves you through otherwise tumultuous waters. And you’ll own the the room. Your brand will go from being hunted to becoming the hunter–becoming the shark in whatever depths you decide to plunge. David Brier is a brand identity specialist, package designer and branding expert. His firm’s work can be regularly found in blogs, publications and award annuals. Besides creating gravity-defying Defy-O-Meter, David is also the author of Defying Gravity and Rising Above the Noise. David’s series of videos shed new light on effective branding in these videos and interviews. You can subscribe to his YouTube channel which routinely provides inspired and thought-provoking videos such as: What do consumers have to say about false advertising? Request your own free copy of David’s eBook, “The Lucky Brand” here.